Onshape is revolutionizing CAD modeling as we know it. Apple is always talking about how many professions increasingly rely on the iPad for work, and developers Onshape have just added another: Computer-Aided Design (CAD) modelers. 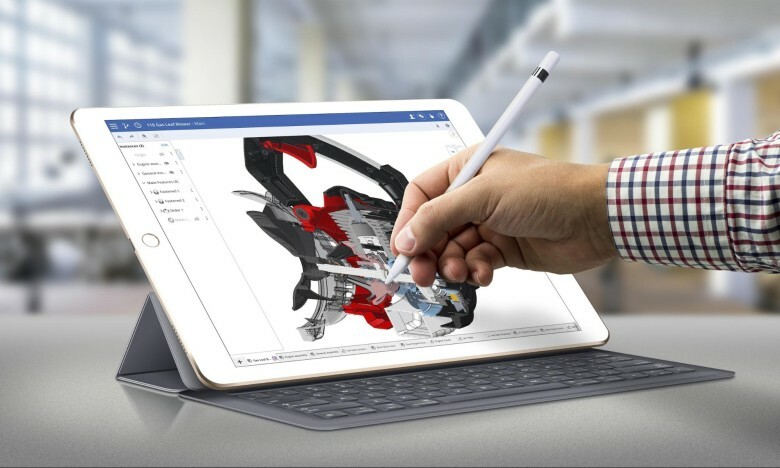 Onshape’s new app lets iPad Pro owners carry out the compute-intensive calculations and graphics for 3D solid modeling from their supercharged tablet, using their trusty Apple Pencil. The Pencil enables CAD users to easily select a particular piece of 3D geometry, with an innovative UI that zooms in the harder you press on the scree. Releasing the pressure will restore the screen to its original view. There’s also the ability to use Split View to look up specifications from a supplier catalog, while working on a model at the same time. Perhaps the best thing about Onshape is that it is the only company in the world 100 percent focused on cloud and mobile CAD, which means that an entire design team can work together on a project regardless of whether they’re using their phone, tablet, or desktop. Not only can everyone access the project, but there’s also no risk that people will be looking at different versions of the same project — since everyone on a design team sees and works on the same master CAD data. Our verdict? Pretty neat — and great timing given Apple’s announcement of a new 9.7-inch iPad Pro yesterday.